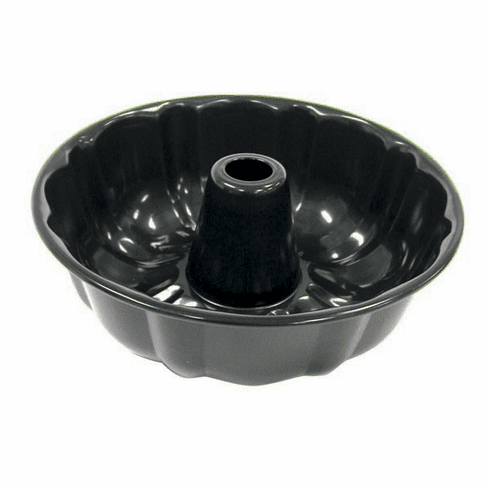 This fluted tube pan is perfect for bundt cakes, coffee cakes and fruit cakes. Also great for jello molds. Uniquely designed wide lip edge is ideal for ease in handling. High quality nonstick surface for easy release and cleaning. Pan measures 10"/25.5cm diameter by 3.5"/9cm deep. and washing recommended.